Unfortunately, I can't post any updates for the next three weeks (except on the weekends). Thus, this is the last one for a while. 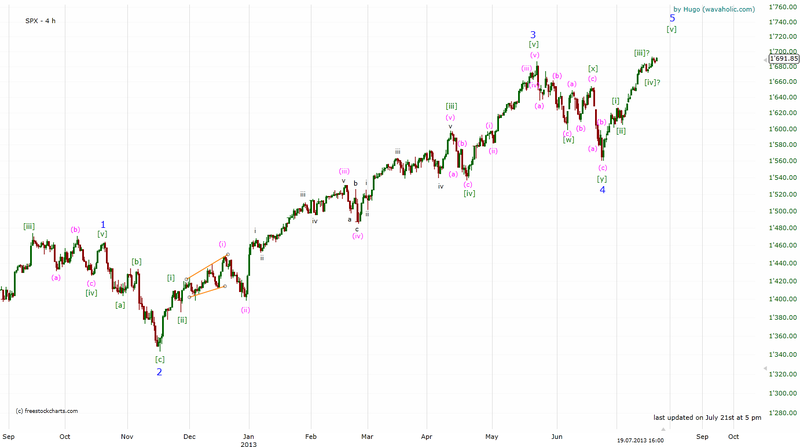 I'm not quite sure whether waves [iii] and [iv] are already over (and we are now in wave [v] to conclude wave 5 in late July/early August) or whether we are still in wave [iii]. Whichever count is correct it looks like a correction in August is likely. However, for now, the trend is still up. Regular updates will continue on August 9th.